Missing Tooth or Teeth? Here's Why Implants are Worth Considering! Tooth loss. It’s something that happened to Grandma; it’s not something that will happen to you – at least not for a very long time. As your family dentistry team, we take pride in performing routine preventive care that may help you keep your healthy teeth for a lifetime. If and when the need for tooth replacement occurs, we are here to support you in whatever way you prefer. 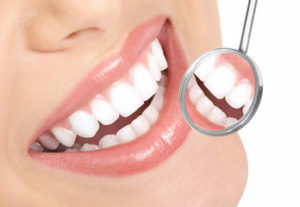 One of the popular methods of tooth replacement we offer is dental implant treatment. When you chew, you know what it should feel like because you have relied on your teeth and their roots for your entire life. Chewing with a replacement tooth should feel exactly the same. If you wear a bridge or denture, you know this is not a guarantee. This is because of the foundation for those restorations. A bridge relies on the teeth surrounding the gap for support. The replacement tooth sits on the gums. Likewise, dentures also sit on the gums, and are not tethered to any foundation. Implants are that sub-structure that creates optimal stability for chewing. Comfort and chewing go hand in hand. If you have ever had a nasty toothache or a broken tooth – or missing teeth – you know that there are factors that could make chewing very difficult. Dentures, in particular, can create this problem. Without adequate stabilization, the fixture that sits on the arch might rub against the gums. Dentures are also known to slip out of place, or completely out of the mouth. If you wear dentures or need total tooth replacement, talk to us about denture stabilization with a few dental implants. When teeth are lost, what most people think about are the immediate cosmetic and functional consequences. Without roots, however, there are long term problems that stem from tooth loss. Roots are vital to the structure of the jawbone, which in turn supports stable teeth. Taking the place of roots, implants continue to stimulate bone to regenerate, decreasing the risk of bone loss in the jaw. Tooth replacement has changed in great ways! Learn more about dental implants when you visit our Oak Grove, Warrensburg, or Windsor office.